Made from tongue and groove shiplap, superior to the standard off the shelf versions. Available in a range of sizes to suit your garden size. 16mm Shiplap Shed Kit - Price on application. UPGRADE to 19mm Shiplap - Price on application. 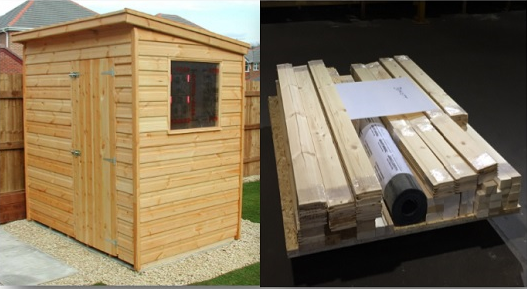 16mm Shiplap Shed Kit - Price on application. UPGRADE to 19mm Shiplap - Price on application. 16mm Shiplap Shed Kit - Price on application. UPGRADE to 19mm Shiplap - Price on application.